In this web hosting review we shall be comparing HostGator Vs. Bluehost Vs. DreamHost as general web hosting services and also as hosting for WordPress blogs. Before you can run your own blog or website, you need a good web hosting service. This provides the server or web storage space for your files, and various other tools to help you administer your site. It is very important that you choose a web host that properly meets your needs right from the start or you may be paying for services you do not require. Even worse, you might experience issues that could severely set you back. HostGator, Bluehost (both owned by the Endurance International group) and DreamHost are three of the most popular web hosting services worldwide, which is why they have been chosen. We shall focus here on shared hosting whereby you share a server with many other people. This is the least expensive service. There is also Virtual Private Server (VPS) hosting, where you have a portion of the service for your exclusive use, and Dedicated Hosting, where you have your own server. These options are generally for professionals with large sites. Lowest Advance Price $6.36 36 moths adv. $6.99 36 months adv. $8.95 24 months adv. We shall now discuss the main features in more detail. Although all advertise special offers or seasonal reductions, these generally run for only one payment, or for a limited period. We are using the regular published prices here since offers change regularly. HostGator offers a monthly payment option, although the price for this will often be higher than the cheapest advertised price, which is usually for advance payments. For example, HostGator advertises its Baby plan starting at $6.96/month. It’s only when you look closer that you find this is for 36 monthly payments in advance. Bluehost and DreamHost offer no monthly plan, but if you press them they might offer it at over $11 per month. The Bluehost lowest advertized price is again for 36 months, or 12 months payment equivalent to $9.99/month. DreamHost offers $8.95/month for 24 months in advance. However, DreamHost also charges a $49.95 setting up fee. So be careful you are sure what you signing up for. It is important that you have as much storage space for your files as possible. It is also important that have no bandwidth issues that can restrict the uploads and downloads to and from your website or blog. All three of the web hosting services reviewed here offer unlimited disk space and bandwidth, although your speed can still slow due to server use. Because your server is shared with an almost unlimited number of other uses, it is possible for the service to slow down or even stop during periods of heavy use. The actual uptime for each service is guaranteed to be at least 99.9%, though is normally much greater than that. DreamHost guarantees 100%, although with a shared service this can never be certain. The guarantee doesn’t promise 100% uptime, but offers you a day’s free hosting for each hour of downtime. The only answer to getting a sure 100% uptime is use VPS or dedicated hosting. With VPS you have your own area of a server that nobody else can use. With dedicated hosting you have a whole server to yourself. These are for the more professional uses, and significantly higher in price than the shared hosting we are reviewing today. All three services offer unlimited domains, subdomains and add-on domains. What that means is that you can run an unlimited number of different websites from your one web hosting account. You can run as many blogs as you want, and also generate as many subdomains as you wish that are attached to your main domain. Subdomains appear in the form: subomainname.yoursite.com, so rather than use the mysite.com/support.html file construction you can use support.mysite.com which is lot neater. There are many other uses for subdomains. 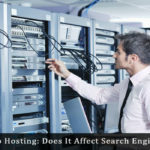 If you intend to operate more than one website or blog, then it is important to be sure you don’t have to pay for another hosting account. Unlimited domains make sure of this. Free Domains: Unlike the other two, HostGator does not offer a free domain, but charges $12.95/year for a traditional TDL domain such as a .com, .net, .org or .me. You are better purchasing your domain cheaper elsewhere. You can then enter its name where requested on the HostGator online registration form. As you might expect from companies owned by a large corporation, both HostGator and Bluehost offer free 24/7/365 telephone and live chat support. They also offer a ticket/email support service where it is easier to track your issues. DreamHost offers an email service only, which promises to try to get back to you within 24 hours. If you want any better, you have to pay $9.95/month extra for their premium support service. This comes in the form of live chat and 3 phone callbacks/month. Bluehost and HostGator use the acclaimed cPanel (control panel) which offers just about every feature you would want when administering your website. The control panel is the center for your domain and file management, emailing system, traffic analysis, security, database management and one-click software installation. For example, you can install WordPress very easily using the Fantastico de Luxe installer or QuickInstall in cPanel, create your own visitor books and polls an install shopping carts to your commerce site. DreamHost uses its own control panel, which offers much of what is available from cPanel. It is said to be intuitive, meaning that you should easily be able use it without needing any tuition. However, it is not as simple as cPanel, and takes a bit of getting used to – even for cPanel users. It too offers a one-click software installation for its many features such as WordPress and ecommerce shopping carts. Each of the three services offers a money-back guarantee. If you cancel your order within 45 days you get an unconditional refund. If you cancel after the 45 days, the cancellation will be considered, and will involve a repayment of the time not yet used less any extended term discount. So if you cancelled at 6 months of a 36 month payment, that 6 months would be charged at the standard monthly rate of $7.96 and not $6.36. Domain refunds will be considered. Do not pay using Bank Wire Transfers, Western Union, Checks or money orders – these will not be refunded. If you cancel within 30 days you will be refunded your full payment less the cost of any premium services paid for such as dedicated SSL certificates. You will also have the cost of any free domains deducted from the refund ($14.99), unless you cancel within 3 days. Then you have the option of paying $14.99 to keep the domain. Check payments of $10 or less will not be refunded. If you cancel within 97 days you will receive a refund for all services provided by DreamHost – this excludes anything paid for services provided by third parties. Note: this refund only applies if you paid using a credit card or Google Wallet. Domain registrations and SSL certificates are non-refundable. If you cancel after 97 days, the account will be closed when the next payment is due with no refund whatsoever for any prepaid unused time. Each of these guarantees has its own benefits and drawbacks. Thus, make sure you buy your DreamHost hosting with a credit card or Google Wallet. HostGator appears to offer the best guarantee. DreamHost is best if you pay by credit card and cancel within 97 days. Many who use Bluehost read it as the best share hosting service available. Many others feel the same about HostGator. The average results of various speed tests available indicate HostGator to be faster than Bluehost, while DreamHost is the most consistent, with better consistency between different locations. Much depends on the server location in relation to the user, so speed tests can be confusing and certainly not definitive. Reviewers will often tend to find the web hosting service they are most familiar with to be the best. This review has been carried out dispassionately, using the same criteria for each service. 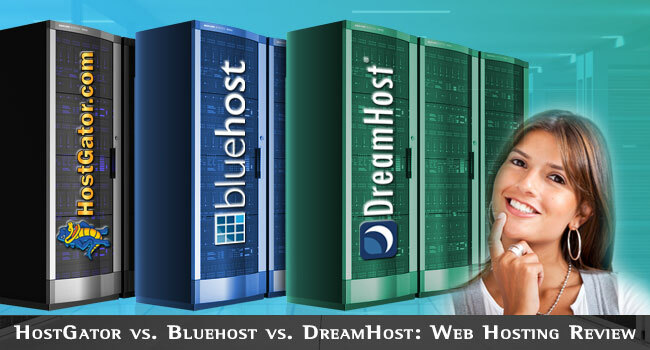 Generally the cPanel offered by Bluehost and HostGator is easier to use than that offered by DreamHost. The guarantee offered by DreamHost is the best, assuming you use a credit card or Google Wallet to pay. If not, then HostGator is next in this respect. Which of the three would we recommend? Much depends on what you are looking for. If it’s economy, then HostGator is the cheapest at the standard prices. However, you can often find discounts and coupon codes to reduce the price, but generally only for the first billing period. Then you would likely have to pay for at least a year in advance. After that you are usually on the standard price, which is why we are using that. It’s the price you will pay for the years of web hosting to come. If it’s speed, then HostGator might just swing it, but either of the other two might be better depending on where you are situated. You can activate CloudFlare (free on cPanel) to speed up your website’s performance. This is a CDN (Content Delivery Network) that can provide your stored files from a server closer to your location. This can mean 30% reduction in your loading time and a 60% reduction in bandwidth usage. It doesn’t work for everybody. On balance, we tend to put HostGator at #1, mainly on its price and faster loading speeds, Bluehost at #2 and DreamHost at #3. You may differ, however, depending on your location. There is not a lot between the three once you get used to them.